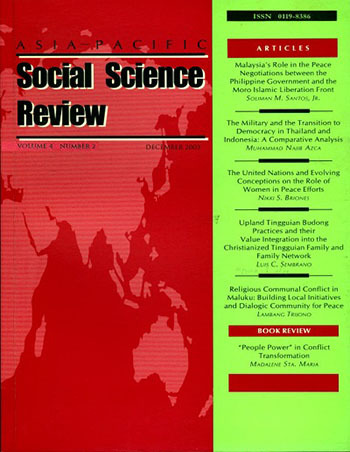 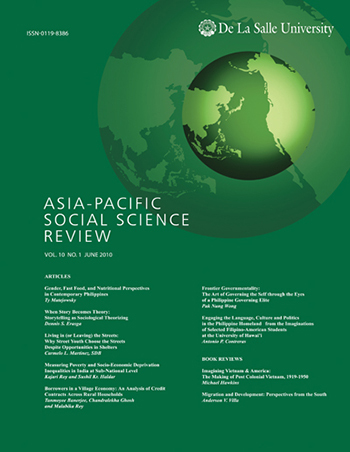 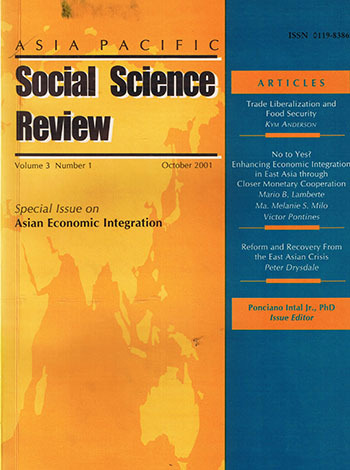 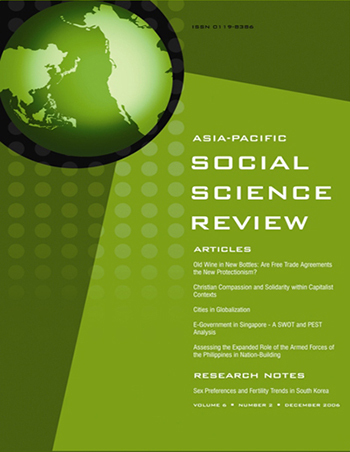 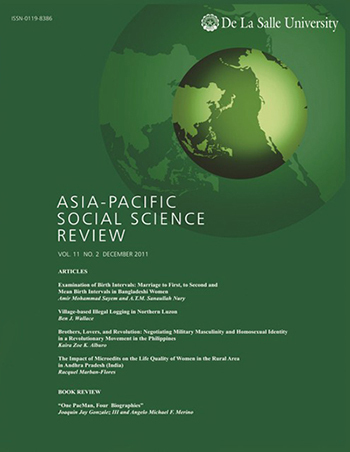 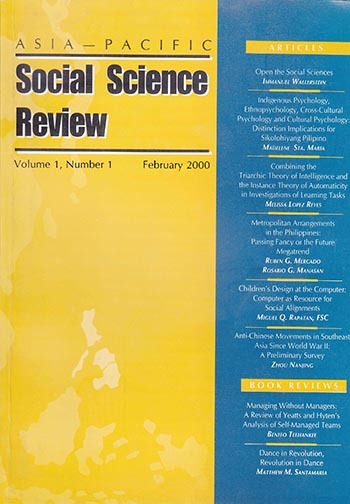 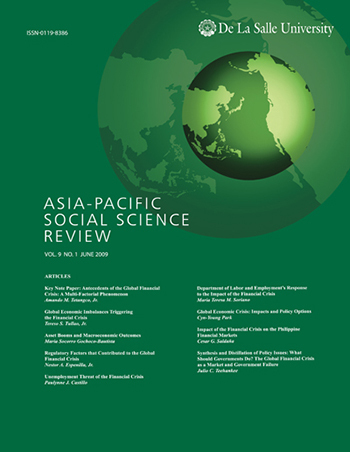 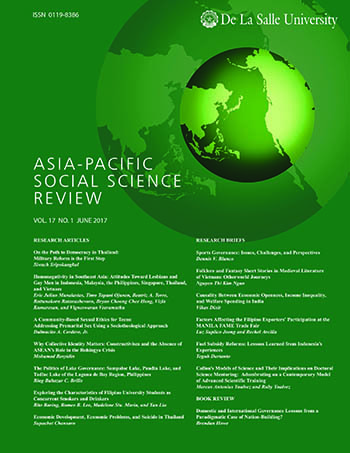 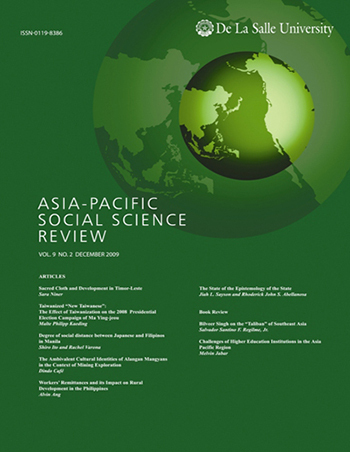 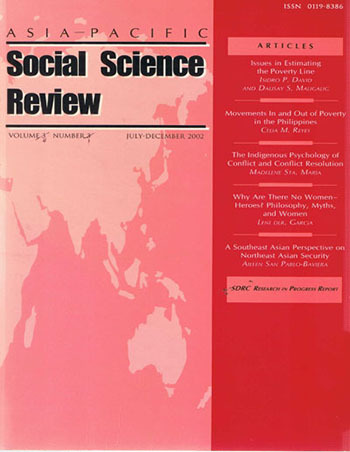 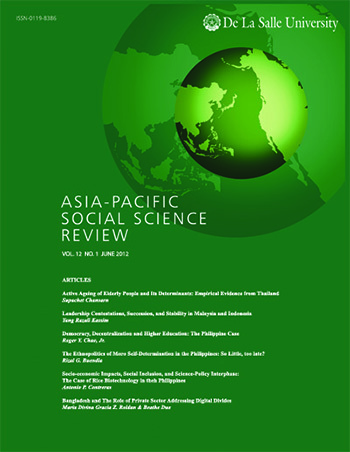 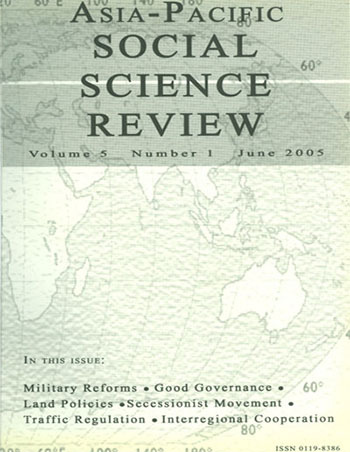 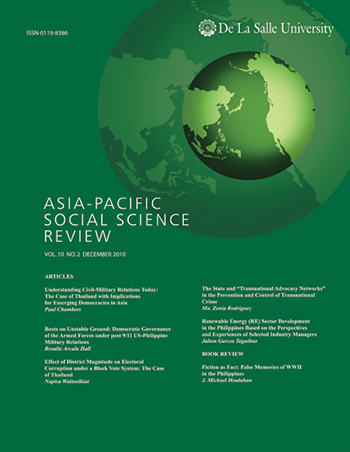 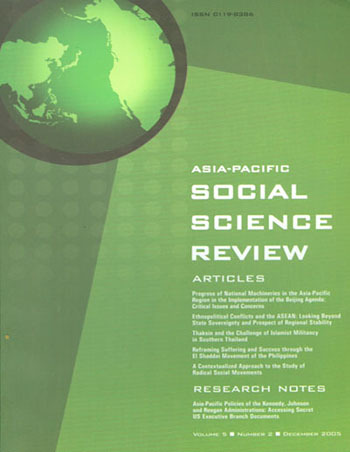 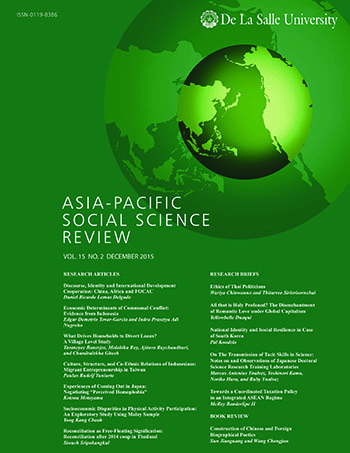 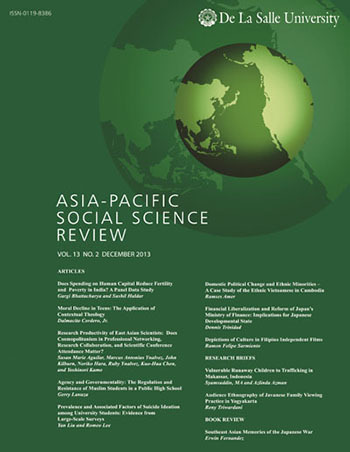 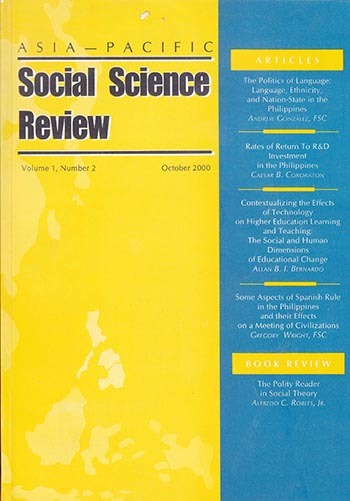 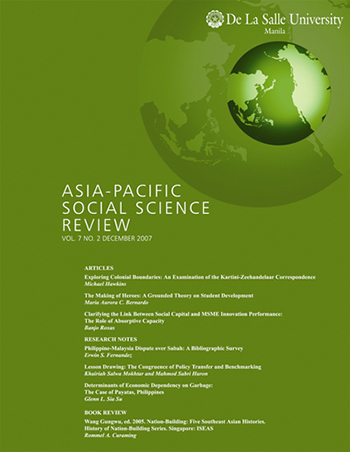 The Asia-Pacific Social Science Review (APSSR) is an internationally refereed journal published biannually (June and December) by De La Salle University, Manila, Philippines. 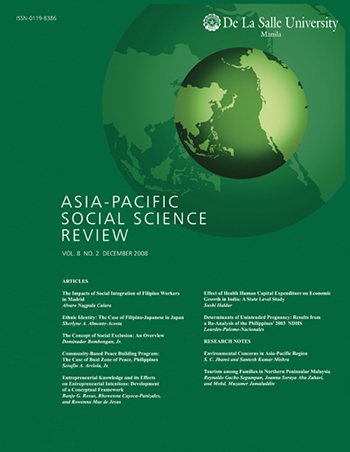 It aims to be a leading venue for authors seeking to share their data and perspectives on compelling and emerging topics in the social sciences with, and to create an impact, on the region’s communities of academics, researchers, students, civil society, policy makers, and development specialists, among others. 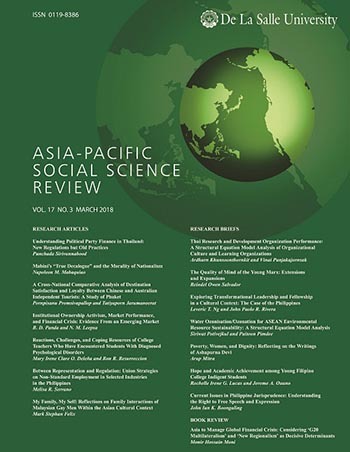 Topics related to or with implications for the region that are pursued employing sound methodologies and comparative, and inter, multi, and transdisciplinary approaches are of particular interest. 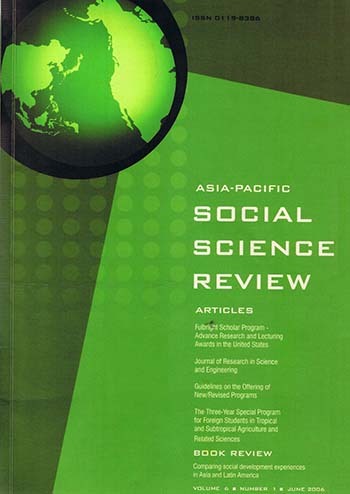 The APSSR is listed in the Elsevier’s Scopus, the ASEAN Citation Index, and EBSCO. 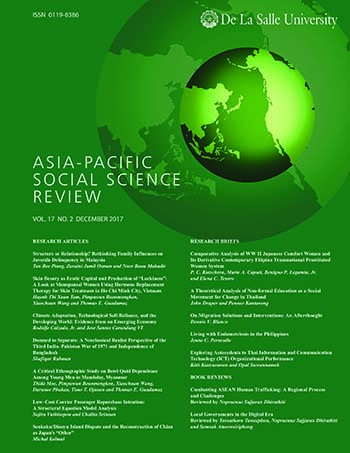 The Review has both printed and online (http://ejournals.ph) editions, and a Facebook Page at https://www.facebook.com/DLSUAPSSR/. 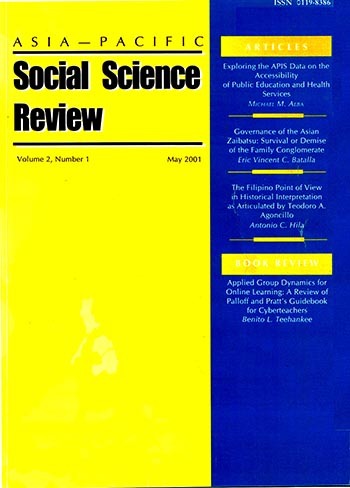 The Review is an awardee of the Journal Challenge Grant of the Philippine Commission of Higher Education (CHED).